As a freelancer, I have tried all types of to-do lists and electronic notepads to help me be more efficient and keep track of all of my work and clients. There are many good desktop solutions and also many good online cloud-based solutions. But if you want something simple that you can install on your own website and domain, myTinyTodo might just work for you. myTinyTodo supports as many to-do lists as you can think of, offers features such as hiding/showing completed tasks, and uses AJAX to give you drag and drop functionality. Best of all, it is free, open source, and will install on just about any web server, even shared hosting accounts. To get started, you will need PHP 5.2.0 or greater, the PHP extensions php_mysql (for the MySQL version), php_pdo, and php_pdo_sqlite (for the SQLite version). If, for any reason, you do not have access to a MySQL server with your hosting account, use the SQLite version. Easy List Creation – To add a new list, all you have to do is click the plus button and give it a name. It will immediately appear. 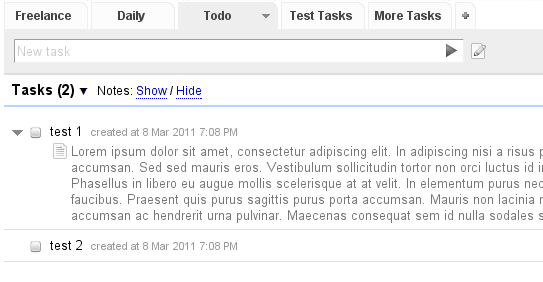 Task Management – The “new task” bar at the top allows you to quickly type in tasks and press enter. 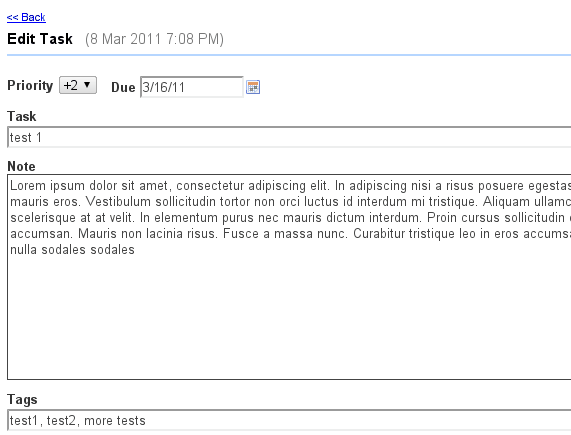 You can also click the pencil icon and enter a note, add tags, set the priority, and set a due date. All of these are optional. For example, if I have posts to write for MakeTechEasier, I know the due date, but still add the topics and check them off as I complete them. Notes – If you paste URLs into the notes, they will become live links, and the show/hide feature allows you to quickly show all current notes. Furthermore, the search function gives you the ability to search through both list items and their notes. Export and Publish – You can export lists as CSV (comma separated values) or iCalendar files (supported by many calendar and to-do applications). 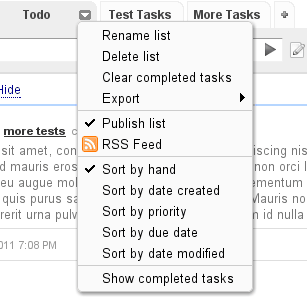 You can also publish lists and then send the RSS feeds to collaborators or your other devices. Mobility – Because it all works in your browser, you have the advantage of using it anywhere on any device. It even includes a mobile interface. Password protection – If you want your lists, tasks, and notes to be private, you can enable password protection so that only you can access it. 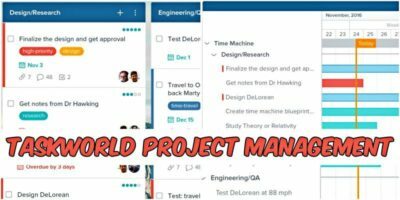 myTinyTodo is lightweight, easy to install, and an open source alternative to proprietary cloud-based task applications. It has just enough features to be effective, but it is not at all bloated. It is currently available in over 30 languages.